July 2, 2008 marks the record in the history of Medicine. The credit goes to the efforts of the Medical team at Holtz Children’s Hospital in Miami who gave fourteen-year-old D’Zhana Simmons from South Carolina was given a heart transplant. She suffered from a medical condition termed dilated cardiomyopathy, meaning her heart was weakened and her blood was pumped inefficiently. Even after her first transplantation the heart did not pump properly. They replaced the heart with a couple of artificial pumping devices to keep the blood flowing through her body until her body supported second transplant. Surprisingly she could live without heart for 118 days and also walk and had outings likewise normal individuals. Such couple of cases also turned out to be successful showing up hope for the Patients. 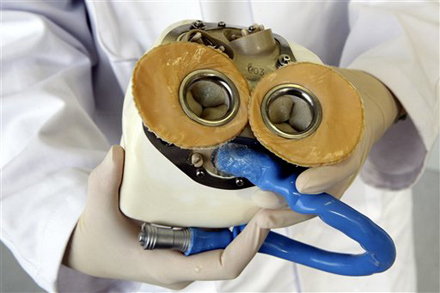 The latest record showed a man in Czech Republic, Jakub Halik lived without a heart for 6 months. Previous PostDid you know, a Fetus can yawn?Next PostFew incredible Mammalian hybrids.